Hi all! So as promised, todays post is a continuation of my previous post discussing the new Avon mark. range. For the low-down on what the mark. range is, I recommend giving it a quick read first as this post is going to be focusing more on what else is new and what has been rebranded under the mark. umbrella. I will be taking a more in depth look at a couple of the items from the range, the Be Blushed Stick and the Big Colour Eye Pencil (also listed as the Big Colour Shadow Stick). I also have a few videos to show you some extra sneak peeks at some of the other items in the mark. range that I will be posting over on my Twitter, along with a couple at the end of this post too along with a link to my Avon store where you can purchase anything you fancy from the new collection. So moving into the review element of this post, I'll be looking at the Be Blushed Stick first and then the Big Colour Eye Pencil afterwards. 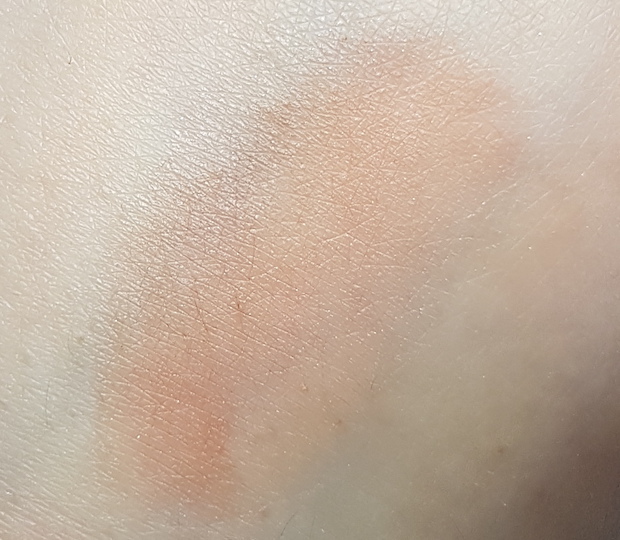 The Be Blushed Stick is a fairly self-explanatory name for this product, which is a cream blush stick that comes in a range of five shades. The shade featured in this post is the colour Sunny Apricot, a coral-orange shade. The blush is said to be a sheer hint of natural looking colour that has a long-lasting and blendable formula. It comes packaged in a small, glossy black tube with a white lid. Even though it looks like it may be fairly pigmented in the tube, the blush is quite sheer but is somewhat buildable. It reaches a level where it will be very pigmented if you don't blend it out, but that will look blocky and obviously like you haven't blended it at all. Blending it will sheer it out quite a lot which is why I say somewhat buildable. You can reach a mid-level opacity with it, so if you like your blush to look more subtle and a gentle flush of colour, you'll like this. If you are after a bolder pop of colour, you may get a little frustrated. I applied it directly to the cheeks and then buffed out with a buffing brush (I used the Spectrum B01 brush) and the result was pretty soft focus and flushed, which is nice. It can be hard to comment how much of a dewy finish a product has on my skin as it's oily and therefore everything looks like a dewy finish on my skin. However, on my hand it does have a nice dewy look to it that I can imagine would look great on normal to drier skin types. It lasts throughout the day when used with setting powder or spray, but may need a top up after a few hours wear without. Overall, I absolutely love how easy it is to blend out and I love that is is sheer rather than too bold as bold cream blushes can be difficult to make look natural. I do wish though that it was slightly more buildable and it lasted longer on the skin. Maybe it's because of my oily skin and makeup never sits on it as long as it does on other skint types, so do keep that in mind whilst reading my criticism of longevity. 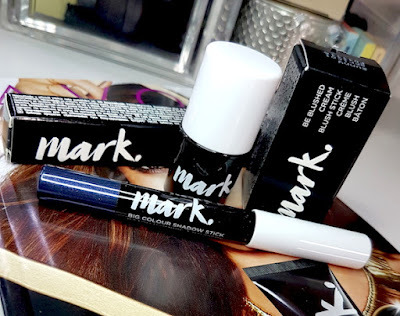 For the price though I think it's a pretty solid product and the shade range is nice. 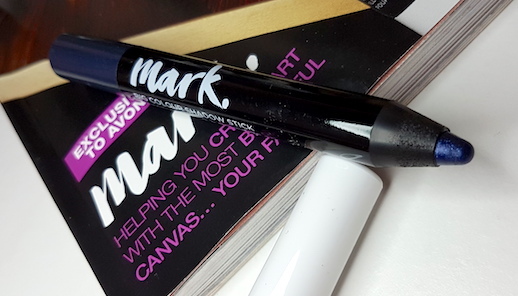 The Big Colour Eye Pencil is a chubby crayon that can be used as both eyeshadow and eyeliner. Avon promise a creamy, waterproof formula that blends easily without creasing. It comes in a range of seven shades that all contain shimmer. The colour that I have to show you in this post is the shade Transforming Night, a dark blue shade with silver and blue glitter. This Eye Pencil definitely glides onto the lids easily, but it takes a couple of strokes across the lid or so for fuller coverage. It takes a minute or so to set properly so you have lots of blending time to take away the harsh edges if wearing alone, or to blend with other shades of the collection. I'd recommend using a brush rather than your finger as it blends a little too easily and your finger can just rub it straight off. It did set a little patchy for me, no matter how many times I tried to build it back up and fix it. With that said, it wasn't noticeable from a distance, only if you look closely. The eyeshadow has good wear time when used with an eye primer and/or a setting spray. Without you will get a few hours but may get fading in areas like the crease if you have oily eyelids, and maybe also some smudging. 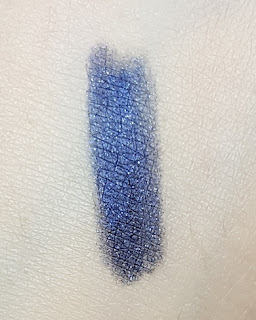 I absolutely love the shade and the blendability of this eyeshadow, but I do wish it wasn't as streaky or patchy as it is. I also wish that it lasted longer, but once again my oily eyelids can skew the longevity compared to different skin types. As I've stated a few times now, the mark. range is a case of simply rebranding some products. 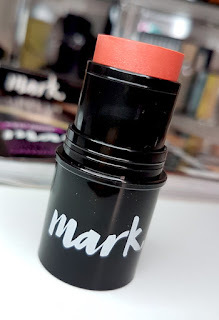 Therefore, whilst I have only reviewed two items in this post (and the new swatches of the 3D Plumping Lipstick in my previous post), there are items that I have reviewed on the blog before that have also been rebranded. The Glow On Illuminator can be used alone, as an illuminating primer, or as a highlighter. If you're wanting to try anything from the mark. range, you can check out my Avon store and purchase online (in the UK and courier delivery/direct delivery only). What are your thoughts on the new Avon mark. range? What are you loving about it?